Fahimuddin Fahmy Qazi has spent over a decade learning with some of the world's leading Islamic scholars in the USA and Syria specializing in Quranic Arabic, Quranic commentary (tafseer), ﻿Islamic theology (aqida), Islamic law (fiqh), Principles of Islamic Jurisprudence (usul al fiqh), Quranic recitation (tajwid), logic and other Islamic disciplines. Qazi has lectured in Arabic and Islamic studies throughout the USA and Syria. 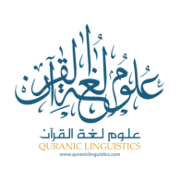 He has authored the two-volume Easy Introduction to Arabic, the four-volume Quranic Linguistics series﻿ series, and the Teacher's Guide to Quranic Linguistics.